HELENSBURGH Heritage Trust has a new chairman. At a Trust Board meeting at his home on January 18, Stewart Noble retired from the post after 19 years, and the directors elected the Rev David Clark (right) to succeed him. 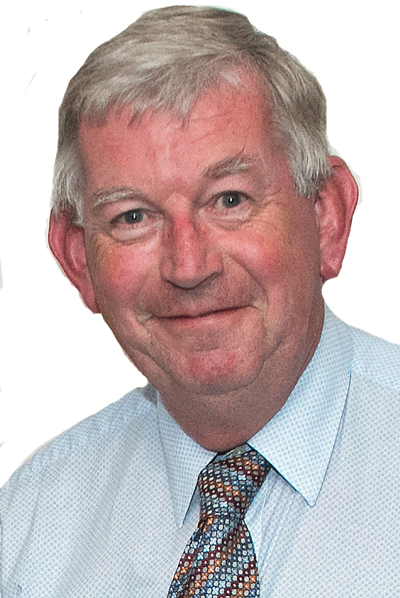 Tributes were paid to Stewart's long and distinguished service, which will continue in the role of treasurer. He said: "Twenty years ago I saw a small article in the Helensburgh Advertiser asking if anyone was interested in becoming a director of Helensburgh Heritage Trust. I volunteered and a year later my fellow directors asked me if I would become chairman — little did I think at the time that I would remain in that post for 19 years! "If I had not enjoyed my time as chairman, I would have resigned earlier! It has been an interesting time and a learning experience for me, and it has helped to extend my circle of friends. And of course my knowledge of Helensburgh has also been increasing over the years. "Anything that the Trust has accomplished over the last 19 years has been down to the tremendous help which I have had from both my fellow directors and from members, and I look forward to whatever the future will bring, particularly in my new role as treasurer." Mr Clark, who now lives in Cardross and is a former minister of of the former West, then St Andrew's, Kirk, which has now been renamed Helensburgh Parish Church, said: “It is an honour indeed to be appointed chairman of the Heritage Trust. “Although I am not a native of the town and have only been here thirty years, I have always had an interest in local history and in those things which form and mark the character of a place and its folk. “Helensburgh is a comparatively young place in the municipal sense — but has such a wealth and variety of people, events and institutions that it is important that it be well-recorded as the years go by.